On the morning of January 14, 2019, we had the pleasure of receiving a visit from the Embassy of Denmark in Kuala Lumpur, Malaysia. 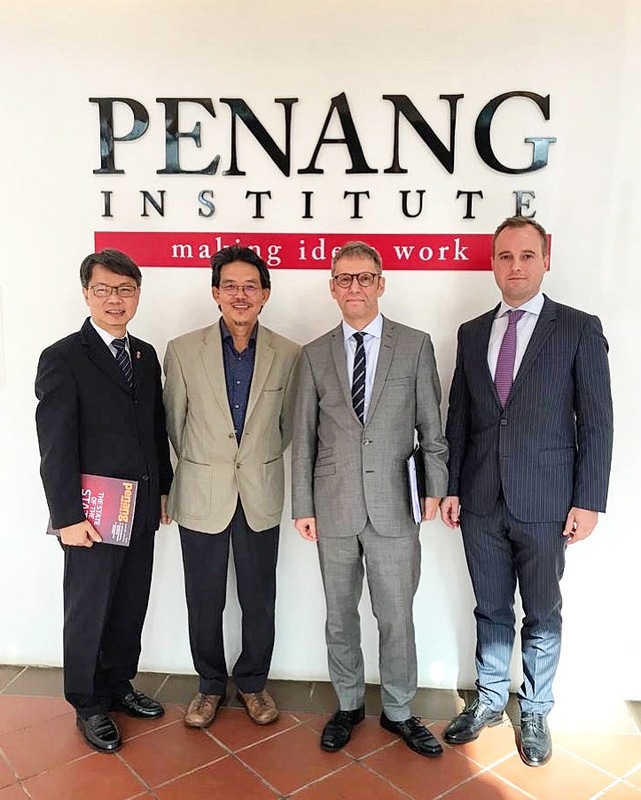 A meeting was held between Dato’ Dr Ooi Kee Beng, Executive Director of Penang Institute, and (from the left) Honorary Consul, Lio Chee Yeong, ED, Ambassador Jesper Vahr and Deputy Head of Mission, Jesper Stig Anderson. Together they discussed the prospective collaboration between Denmark and Penang to promote the Penang Green Agenda as well as Sustainable Development Goals.